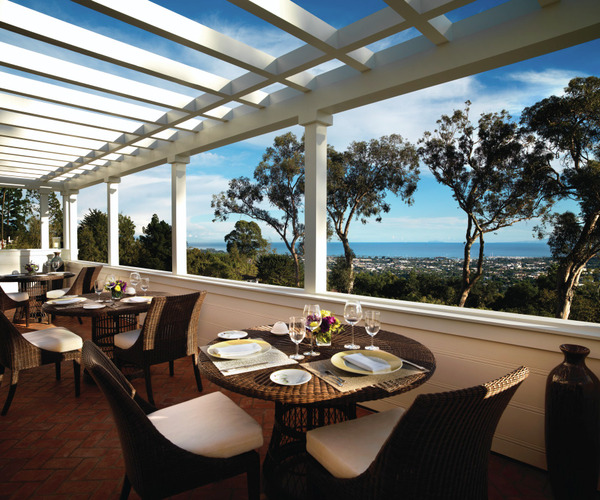 The essence of true California accentuates the glamorously casual Belmond El Encanto, a Forbes Five-Star hotel that resides in an enchanting location between the Pacific Ocean and the rolling hills of Santa Barbara wine country. An icon since the 1920s, the secluded West Coast retreat capitalizes on sweeping views of the sea, Santa Barbara, and seven acres of manicured gardens. Original architecture has been restored to remind guests of the property’s past splendor, while the additions of an infinity-edge pool and boutique spa reveal its prominent future. The Spa at El Encanto totals 4,500 square feet, with seven treatment rooms, one of which accommodates wet spa services. Before, after, or in between treatments, guests have access to multiple outdoor relaxation patios to spend quiet moments and sip tea. Decadent rituals reflect the sprawling Pacific Ocean and wine country surroundings. Therapies include the signature You Are Beautiful body treatment, a luscious combination of an organic sugar, espresso, and cacao body polish, a warm coconut milk and flower petal wrap, and a full-body massage with mimosa and peony flowers and honey oils. Other sumptuous body services comprise a cacao coffee scrub, a strawberry blossom scrub, and a bamboo charcoal wheatgrass body wrap. Massage, facials, waxing, sunless tanning, nailcare, and hairstyling treatments make up the menu as well. Skinceuticals, Lotus Wei, and Linda Ross products are used. Belmond El Encanto’s fitness studio, located on the ground floor, draws in workout fans with Technogym equipment and yoga, boot camp, core strengthening, and personal training classes; exercise bikes set just outside the studio overlook the hotel’s expansive seven-acre gardens. An outdoor infinity-edge swimming pool with ocean views takes people out of the gym, as does Santa Barbara’s myriad of offerings. Downtown, with its galleries, restaurants, historical attractions, and boutiques, including the Paseo Nuevo shopping mall, is minutes from the hotel, and nearby wine country awaits with tours and tastings. The beautiful city is also renowned for its miles of pristine beaches, 50 lush public parks, and Santa Ynez Mountains landscape, which all present ideal backdrops for activities such as paddleboarding, surfing, hiking, horseback riding, and golf. Ninety-two bungalows and suites enrich the senses with expansive garden or Santa Barbara views experienced from furnished patios or balconies. Amenities include king-size beds, and technological elements consist of iPod docking stations and widescreen LCD high-definition TVs. Marble bathrooms feature heated stone floors and deep soak or freestanding bathtubs. Belmond El Encanto’s dining centers around California coastal cuisine crafted with artisanal ingredients from local sources. Both restaurants foster elegant yet unpretentious settings of contemporary style: The Dining Room and Terrace offers indoor and outdoor seating, overlooking city views, while The Lounge is the site for afternoon tea paired with sweet pastries.